Avalon II-Play and win with Microgaming’s top New Slots today! Avalon has become one of Microgaming’s most popular online slots and from February 2014 players will be able to continue the adventure with the sequel; Avalon II: The Quest for the Grail. 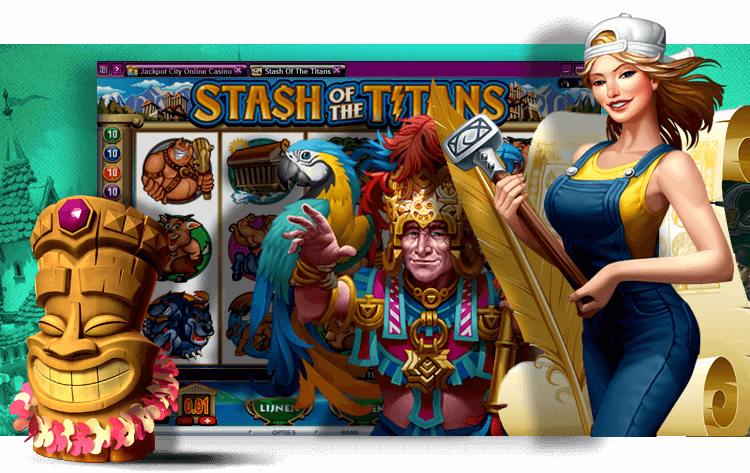 This new slots game promises nonstop action and features a phenomenal 243 Ways-to-Win and 8 different bonus games. The game takes players on a quest through the Kingdom where they are joined by King Arthur, Merlin, Guinevere and Morgan and each spin of the casino reels triggers a myriad of winning opportunities. Avalon II offers enthralling online slots entertainment and immersive game play with big rewards. In addition to 243 Ways-to-Win, Avalon II features 8 captivating Bonus rounds that are guaranteed to boost your online slots bankroll. Players can win free spins in the Morgan’s Keep, Forrest Falls and Mystery Vale games, or they can re-forge the sword of Excalibur by rolling a dice in the Lake of Legend bonus game. In the Dusky Moors and Whispering Woods Bonus rounds, symbols must be matched or chosen to reveal a prize and in the Isle of Avalon game a Wheel of Fortune determines a player’s rewards. Those entering the Hall of Shadows bonus round must defeat the Black Knight to recover the Grail and continue on their quest. The 8 Bonus Games add an extra dimension to these new slots and are guaranteed to thrill and excite with every spin. Microgaming is renowned for creating top class entertainment and spent 2 years developing Avalon II. The results are phenomenal and these online slots set a new precedent in game design. Superb 3D rendered animations and classically painted backdrops set the scene and the attention to detail is incredible. The graphics are breath taking and the storyline of these new slots is immersive, interactive and offers great rewards. This Avalon-themed game offers players thrilling slots entertainment and from the very first spin players will be captivated by the imagery and game play. Enter a mystical mediaeval world and discover an online slots adventure like no other in Avalon II: The Quest for The Grail.